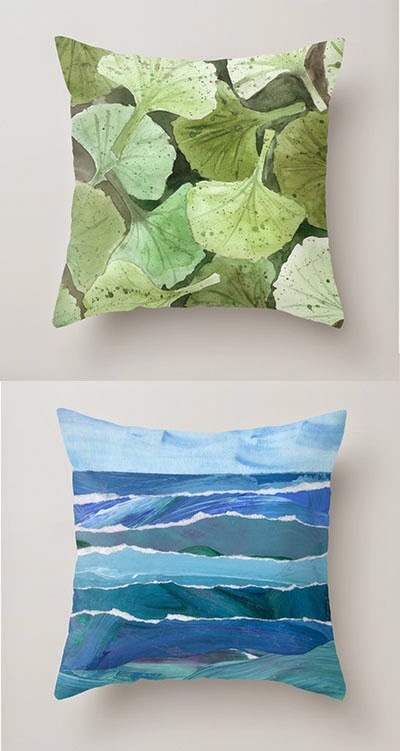 A while ago, I took a class on printing on fabrics. 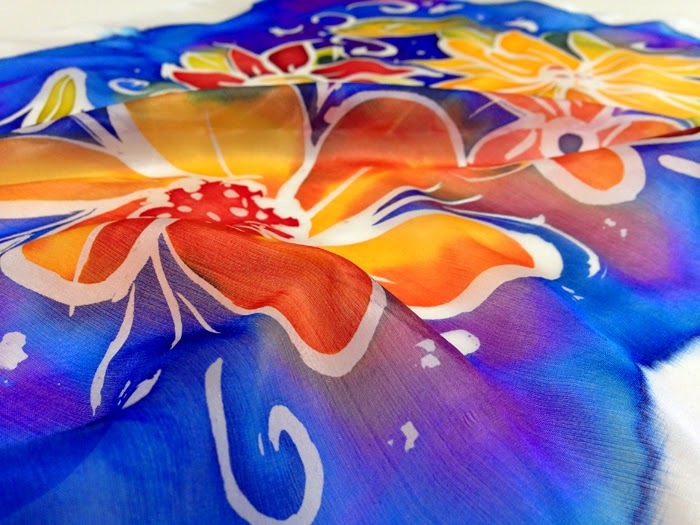 This piece was created by painting hot liquid wax on a white piece of silk. Wherever you see white, that's where the wax was applied. After the wax dried, I used dye to paint color into the areas created by the wax. After the dye dried, I sandwiched the silk between paper towels and ironed it with a very hot iron. 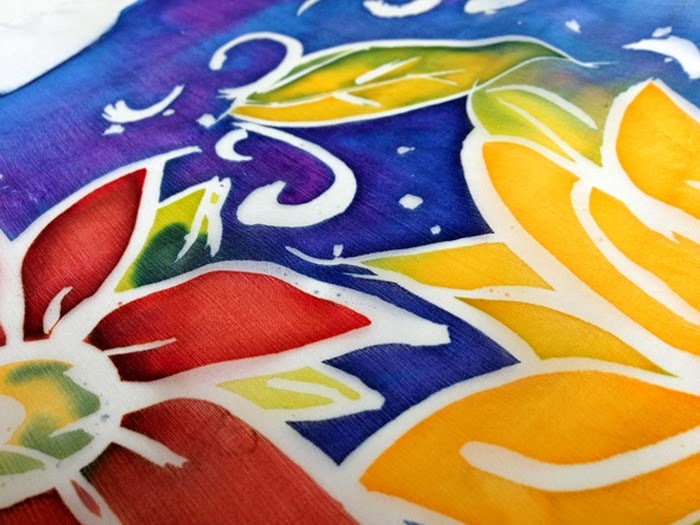 The wax melted and was absorbed into the paper towels which left the silk soft with intense colors. 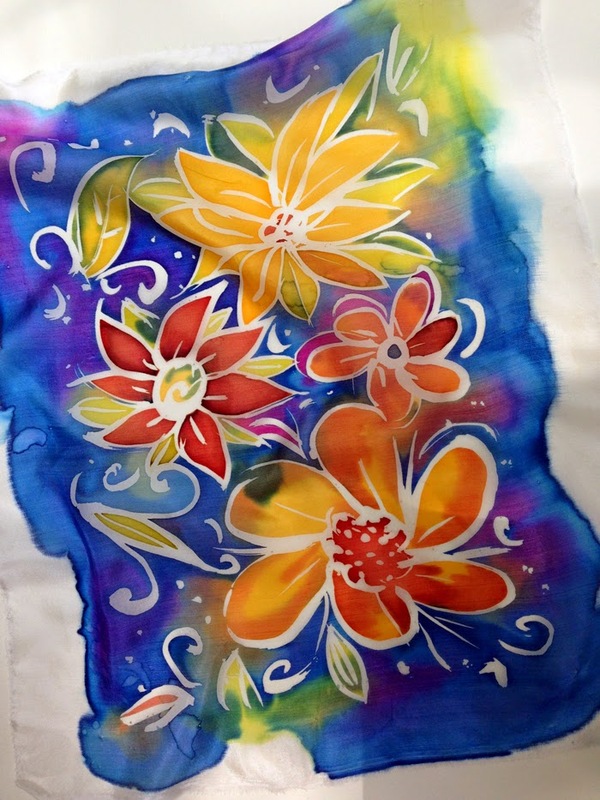 This technique is similar to batik but instead of masking out areas with wax and dipping the whole piece of fabric into dye which is true batik, I used a more painterly approach. 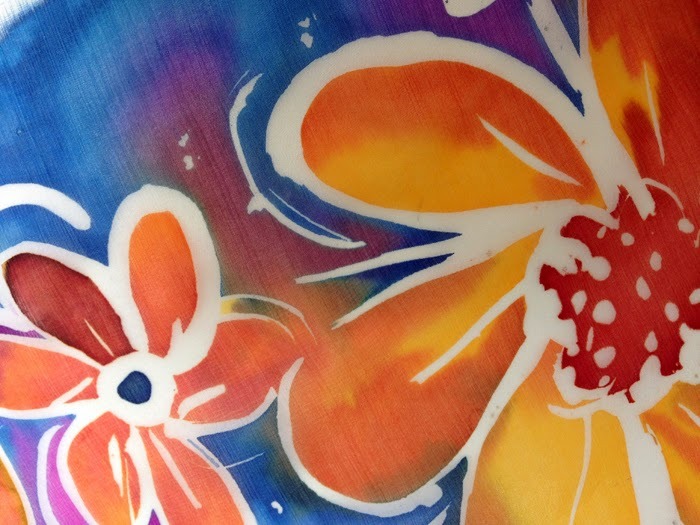 It was like a watercolor painting using silk, wax resist and dye. A fun experiment!